As Britain said farewell to one of its greatest ever sportsmen on Saturday night, Jonny Wilkinson bowed out of the Millenium Stadium a champion once again. After Toulon’s comprehensive 23-6 victory over the Saracens in the Heineken Cup final, Wilkinson joined an exclusive club including his former England colleague Martin Johnson and Irishman Leo Cullen as the only men to captain their clubs to successive Heineken Cup titles. Once again Wilkinson’s boot did the work as just as in the semi-final victory over Munster, his faultless goal-kicking – allied with another barnstorming man-of-the-match performance by Steffon Armitage – pushed Toulon over the line. As Wilkinson hoisted the famous old trophy above his head, this was a fitting end for a man who has seen his fair share of success and disappointment. match-winner Wilkinson got a reception befitting a king on his return, a response at odds with his humble shy personality. At just 23 years of age, and after Premiership and Six Nations triumphs with his club and country respectively, he had already reached the pinnacle of world rugby and the future looked bright. three tests as the Lions were utterly humiliated by the All Blacks, comprehensively losing all three of the test matches. On his return, however he once again struggled with injuries until something of a renaissance occurred in 2007. 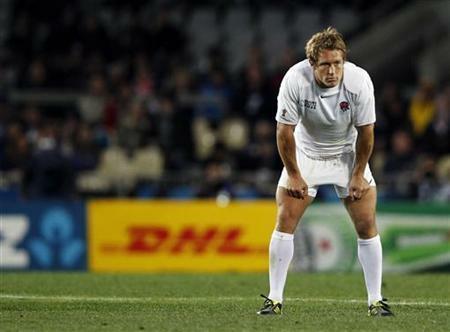 After a relatively injury-free season, Wilkinson travelled to France with England as they looked to defend their world crown. After missing half of England’s group games, Wilkinson returned to help England progress to the quarter-finals where they played the old enemy Australia in a rematch of the 2003 final. As Australia looked for revenge, once again Wilkinson was the scourge of the Wallabies as he kicked all the points as England narrowly overcame their rivals 12-10 to reach the semi-final. After another narrow victory over France in the semi-final, England found themselves on course to become the first rugby nation to successfully defend a world cup. Despite this the title eluded them as South Africa took England’s crown in a 15-6 victory. 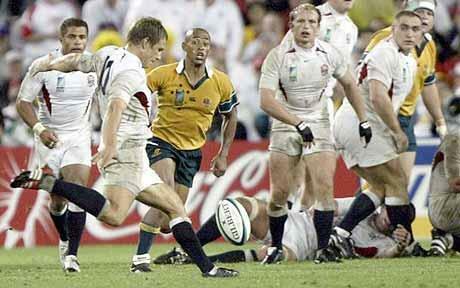 Wilkinson scored all of England’s point and in the process became the only player in history to score points in two world cup finals. As England returned with pride restored to the national jersey, Jonny was back! Two years later and after 12 years with the Newcastle Falcons, Wikinson decided to join French Top 14 side Toulon. Due to the RFU’s insistence that players outside of England not be considered for international selection, the decision looked to leave Wilkinson’s international career at a stand-still. However after continuing to impress for Toulon, the fly-half was brought back in from the international wilderness and was soon on his way to his fourth world cup in New Zealand in 2011. The tournament proved an unmitigated disaster as poor performance and off-field controversies saw England tumble out of the competition at the quarter-final stage, going home with their tails firmly between their legs. 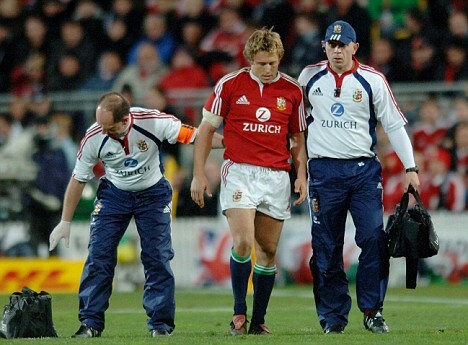 The farcical episode eventually led to Wilkinson retiring from international rugby after 91 appearances. The last few years of Wilkinson’s career have proved a welcome return to the glory days of his early career as he completed his personal haul of trophies by finally winning the Heineken Cup and then defending the trophy this year. and coming on to the rugby scene just as the sport became professional, Wilkinson has proved an ideal role model for young kids looking to play the game at the highest level with his devotion to practicing his sport perhaps his greatest attribute. A two-time British and Irish Lion, a World cup, Heineken cup and Premiership winner, Jonny Wilkinson will go down not only as one of the greatest ever rugby players, but also an all-round, honest, decent bloke.